To draw useful insights from the data, Z-Works has created two types of scenarios – simple and complex scenarios. For simple scenarios, multiple data types can be applied to understand, for example, if a person is in a room or not at a certain time or whether the temperature is too high or not at a certain location. For complex scenarios the ZIO cloud can, in addition to comparing multiple data types, draw conclusions from a sequential reaction of sensors. For example, first presence detected, then a door is opened and finally breathing rate or heartbeat rate is detected indicates that someone has entered a room and is lying down in a bed. Z-Works collect over 20 different data types from a variety of sensors. To even further improve the comparability between different data types Z-Works is working on algorithms to standardized the collected data. The work also includes to identify inaccurate values and, with analytics, remove or adjust it to improve to total data set. To draw even more useful insights beyond what rule-based algorithms provide today, Z-Works see a significant potential of combining machine learning with IoT to solve the most pressing problems for our customers. We are currently translating collected data into human behavior and exploring several machine learning methodologies such as data classification and anomaly detection. Safety of personal information is a top priority for Z-Works. To ensure we can deliver on this promise we have a platform where the data in the ZIO cloud is anonymous and cannot connect, for example, a certain device to a certain user’s name. For Z-Works high availability means two things: that the ZIO cloud has a high up time and that the system is working effectively when up and running. Z-Works currently working on several measures to reach the target of 99.99%. To ensure highest possible level of security for the ZIO cloud, all new connections (gateways as well as server connections) need to be certified by Z-Works. The certification is provided with our SDK. When our clients grow their businesses it is crucial for us to quickly have the ability to scale in computation power and storage to meet their demands. Since our system is built on Amazon Web Services, scaling is comparably easy compared to conventional data centers and we have ongoing projects to make the platform event more flexible to traffic volume changes. 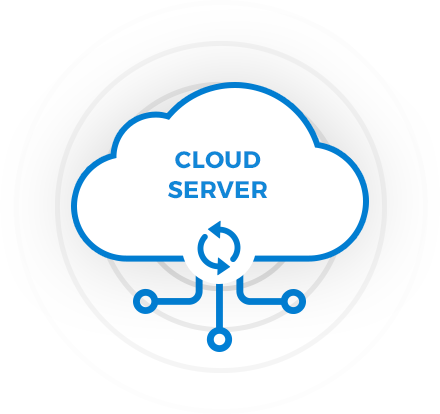 To ensure the intelligence of the Z-Works platform is fully understood and utilized by our customers we provide well documented APIs accessible with our ZIO cloud and LiveConnect Server.